In honor of Kevin Durant and Jeff Green kicking off their rookie seasons tonight (as well supersonicsoul.com favorite Zabian Dowdell), I thought it might be a good idea to toss out a team compiled of the best rookies in franchise history. C: Jack Sikma, 1977-78. 11 points and 8 boards and named to the all-rookie team. PF: Bob Rule, 1967-68. Perhaps the greatest rookie season in team history, Rule averaged 18 point, 9.5 boards, Rule made it to the all-star game the next year. SF: Xavier McDaniel, 1985-86. The 2nd-greatest rookie season in team history, X was the true rookie of the year, not Pat Ewing, as every Sonic fan will tell you. SG: Art Harris, 1968-69. 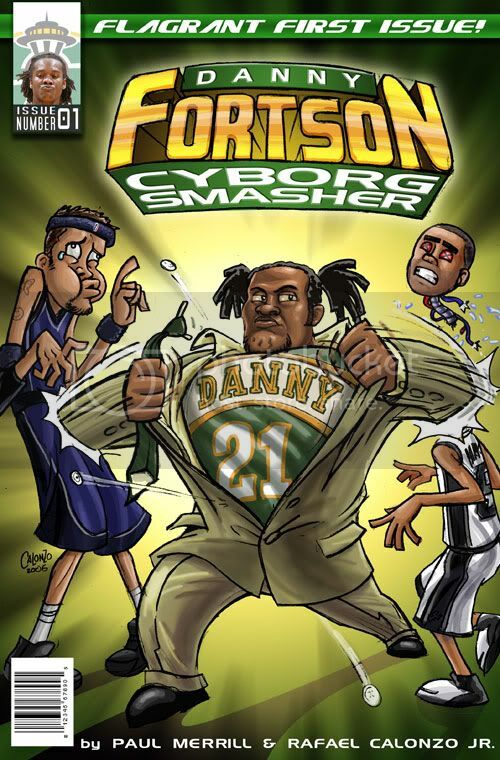 A forgotten Sonic, Harris scored 12.4 points per game in the Sonics’ second year of existence. PG: Dennis Johnson, 1976-77. DJ lost out on rookie team honors to John Lucas and Ron Lee (go Ducks! ), but his 9.2 points, 4 boards, and 1.5 steals make him thismuch better than Gary Payton’s 1990-91 season. Gary Payton, 1990-91; Dana Barros, 1989-90; Al Tucker, 1967-68; Pete Cross, 1970-71; Tom Burleson, 1974-75; Leonard Gray, 1974-75; Bruce Seals, 1975-76; Derrick McKey, 1987-88. I made a couple of interesting mental notes when compiling this list. The first is that the Sonics have not had a rookie make a real impact since Gary Payton, more than 15 years ago. Guys like Desmond Mason, Rashard Lewis, or Luke Ridnour have all eventually become good players, but not in their rookie seasons. 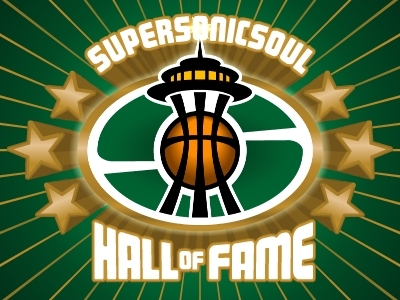 The Sonics have also traded away their fare share of rookie talent, including Bobby Jackson, Bobby Simmons, Corey Maggette, Doug Christie, and, of course, Scottie Pippen (ouch). It’s also interesting to compare the Tom Burleson and Leonard Gray draft in 1974 to the situation the Sonics are in now. Burleson was a huge get for the Sonics: a 7’2” center from NC State fresh off beating UCLA and Marquette for the NCAA title. The 3rd pick in the draft, I think it’s safe to say that were he coming out in 2007 rather than 1974, Burleson would have received as much hype as Durant or Oden (in fact, that year’s draft class of Bill Walton, Marvin Barnes, and Burleson is a good comparison to this year’s). Burleson’s rookie year was solid, if unspectacular, and he followed it up with 16 points and 9 boards his sophomore season. From there, his career spiraled downwards, culminating with a devastating knee injury that eventually forced him out of the league before he turned 30. Gray, like Jeff Green, was the second choice of the Sonics that year, and, like Green, he was a tall forward, a terrific human being, and the glue of a great college basketball team (sadly, Gray died in 2006 at only 52 years of age). And yet, neither Burleson nor Gray had the careers that either expected. Both were out of the league far sooner than they would have hoped, and neither led their teams to anything of significance, although the two did help pull the Sonics to the second round of the playoffs in 74-75. These days, thanks to the internet and television, everything is hyped beyond belief. Kevin Durant is the greatest player since MJ. Oden is a franchise-saving center. We forget that great players have emerged from college before, and will again. Tonight in Las Vegas, two great rookies will try to help pull this franchise from an abyss. Will they succeed where great players like Burleson and Gray failed? I like what Ian said on KJR today about the team. He knows they aren't going to be great, but he's excited to watch them. I feel the same way. It's been a few years since I've been excited about the Sonics, and even if they only win 35 games (my personal estimate, depending on how things play out this summer), they'll be fun to watch. what can we do as fans to try and keep the Sonics here? as bad as the Seahawks were people were more than willing to keep a scheming owner from moving our hawks to his hometown. similar situation, different sport, what can we do?